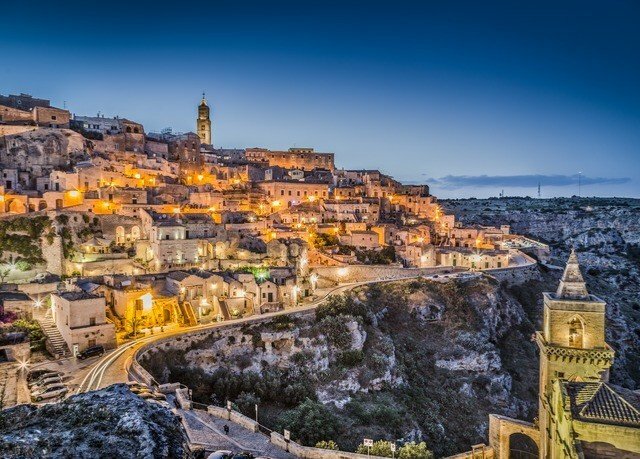 A UNESCO World Heritage site, Matera in southern Italy’s Basilicata region is best known for its beautiful Sassi, or ancient stone cave-dwellings. 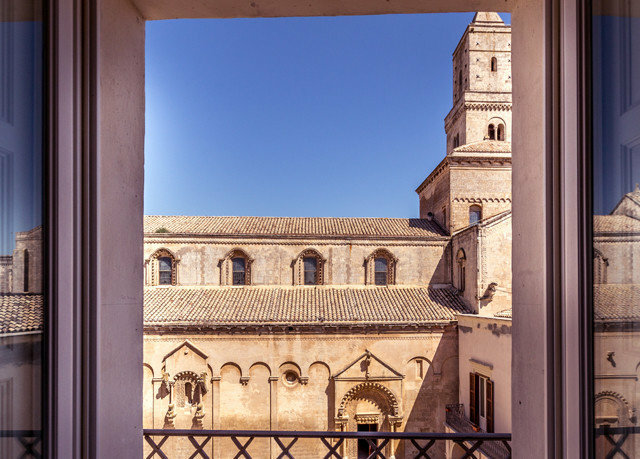 Palazzo Gattini, which dates back six centuries, places you in an enviable location to take in this stunning sight: the highest point of the entire town. 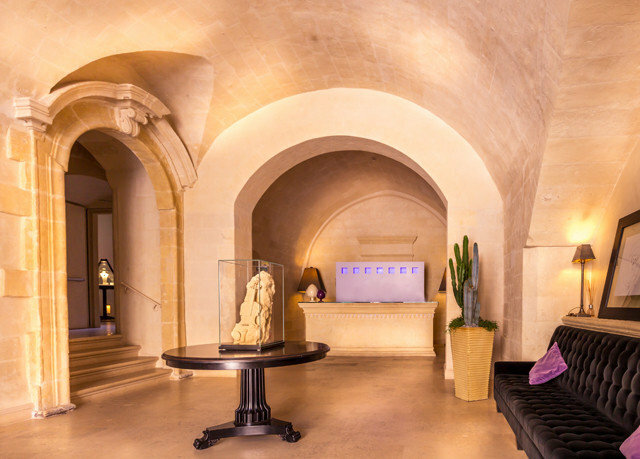 Architect Ettore Mocchetti breathed new life into the historic structure using ancient limestone, subtle lighting, rich fabrics and elegant custom furniture. 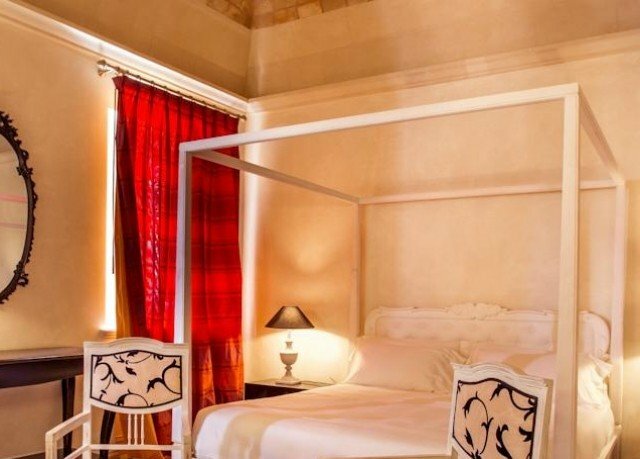 The result is a luxurious and totally unique property that nabbed a TripAdvisor Travelers’ Choice Award in the Top 25 Luxury Hotels in Italy category. 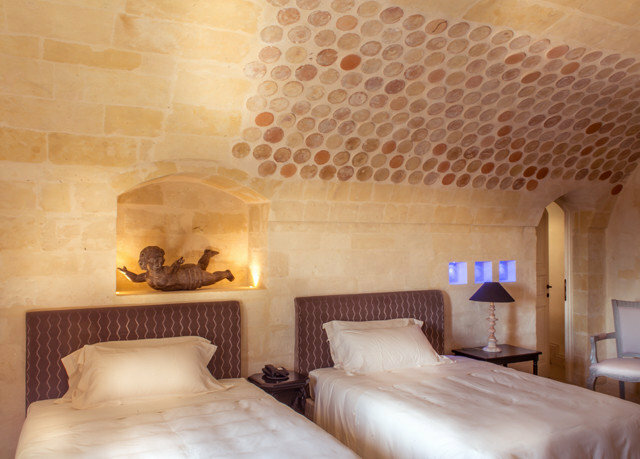 In your characterful room, you’ll sleep under stone ceilings and soak up the historic atmosphere at every turn. 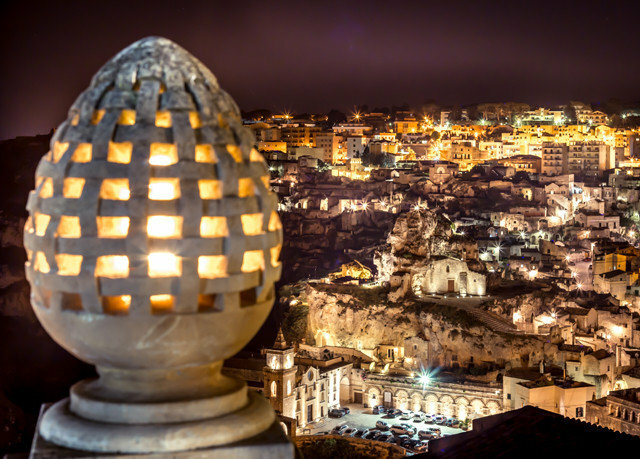 Elsewhere, there’s a dreamy roof terrace and bar with unrivaled views; by night, the whole vista becomes even more magical as the Sassi are transformed with floodlights and lanterns. 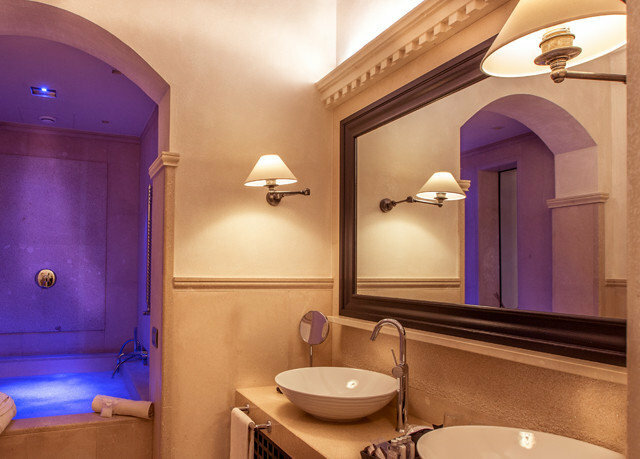 An equally attractive prospect awaits in the sublime Gattini Spa, located down in the ancient cistern and surrounded by caves carved into the stone. 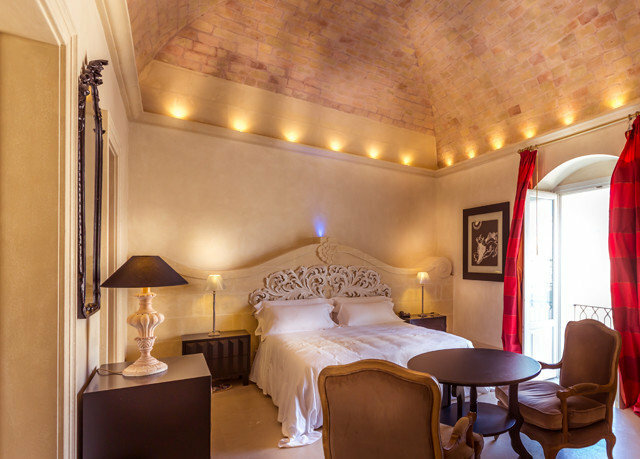 Spacious Deluxe Double rooms and Junior suites all have their own unique character and are defined by their old stone ceilings, curved walls and delightfully modern bathrooms with complimentary Côté Bastide toiletries. The delicious buffet breakfast includes cooked-to-order eggs, fresh cakes, fruit and local bread and cheeses. 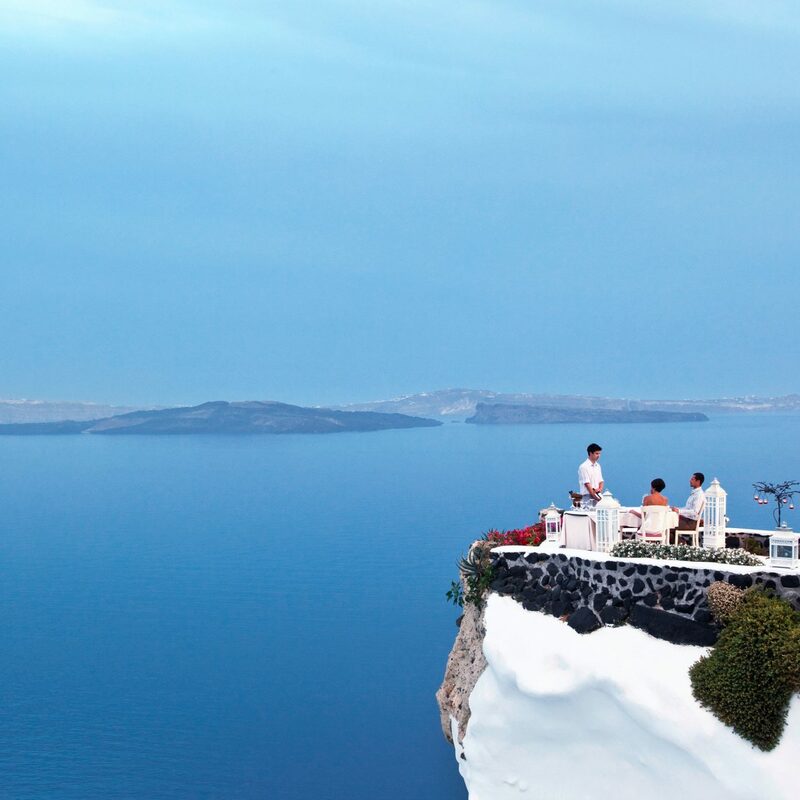 The Michelin-starred Don Matteo restaurant offers excellent seasonal cuisine in splendid surroundings. 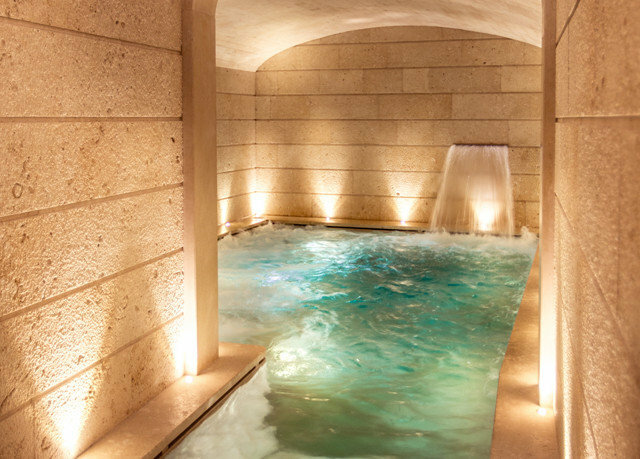 The small but perfectly formed Gattini Spa is housed underground in the former cistern and has a swimming pool with a Jacuzzi, hammam and whirlpool bath. A host of massage treatments are available, as well as numerous beauty treatments. 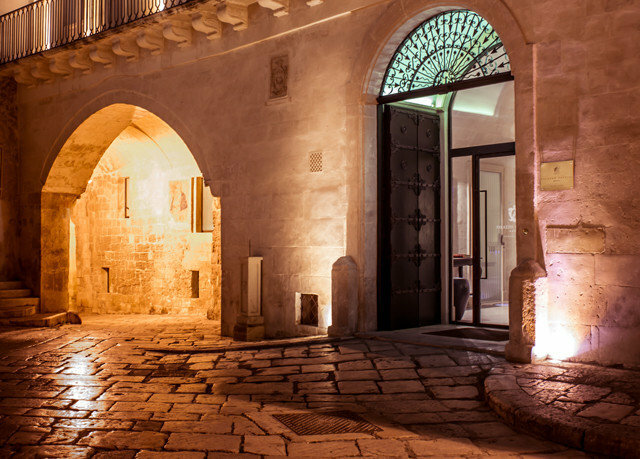 Palazzo Gattini is superbly located right in the center of town, just across the square from Matera Cathedral. 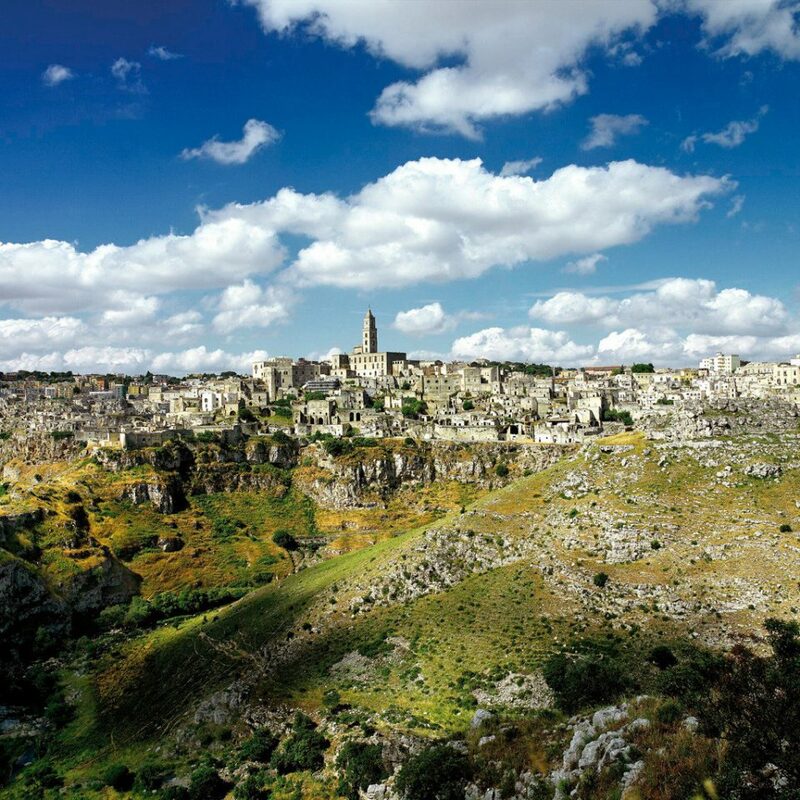 Spend a day exploring the labyrinthine cave dwellings, full of twists, turns and cobblestone alleys. 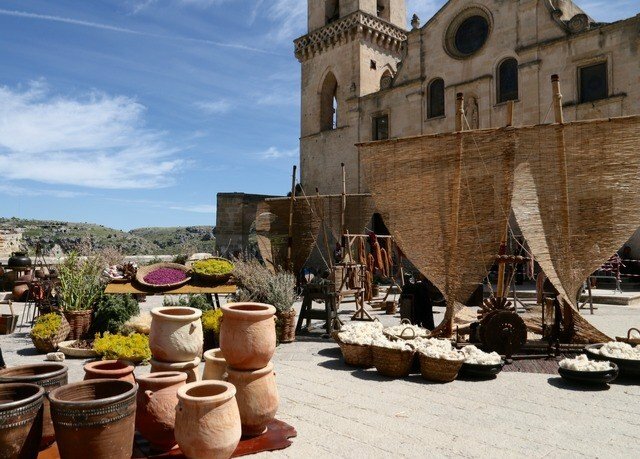 Other attractions include the Domenico Ridola Archaeological Museum, Sant’Agostino convent and Tramontano castle. 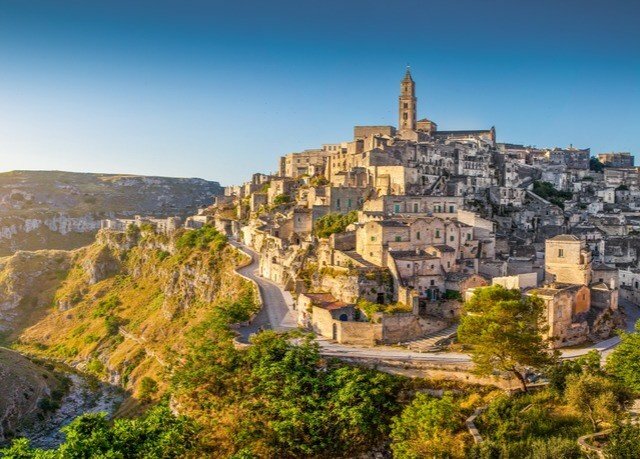 Make sure to also explore the surrounding Basilicata countryside, with its great hiking trails and traditional villages. This is a true 5 Star hotel, in fact if a hotel could be higher than a 5 star, this hotel would be it. 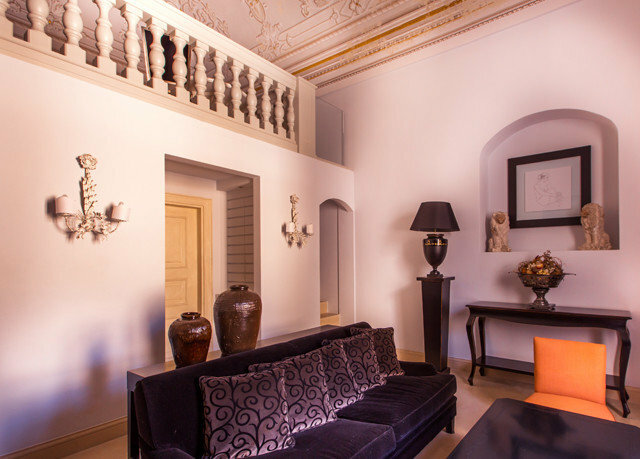 It is a boutique hotel created out of a former mansion, with about 20 rooms, but has all the services one would expect from a luxury hotel. Our room was huge and very well appointed, and the bathroom was also a good size. 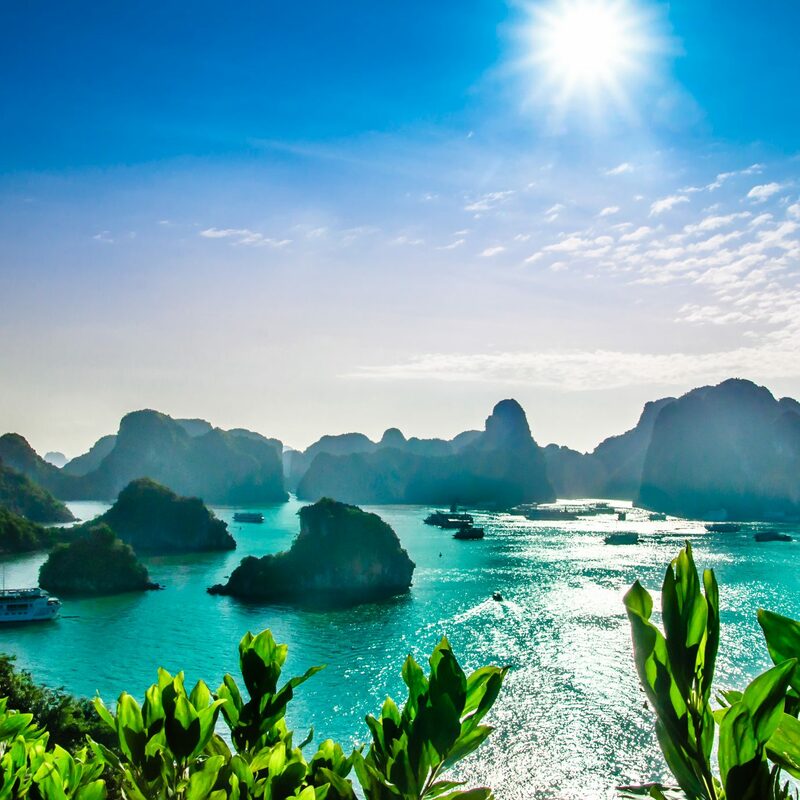 The included breakfast was served in the atmospheric cave-like rooms on the bottom floor, with a nice variety of items on the buffet, and waiters to bring eggs or omelets, and coffee drinks. Our rate included use of the spa, which is by appointment. One has private use of the steambath, a relaxation room with tea, and the pool, which is in effect a huge hot tub with jets. 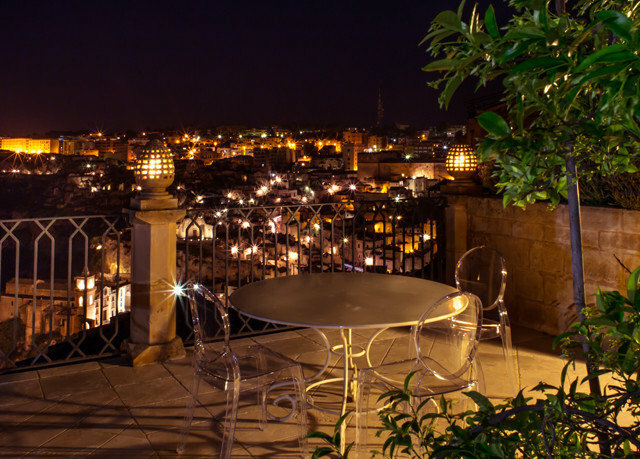 The hotel is located just across from the Duomo, and across from a vista of the sassi. It's an easy walk to the shops and many of the sights, including the cisterns. I highly recommend this hotel, it's a special treat to stay here. 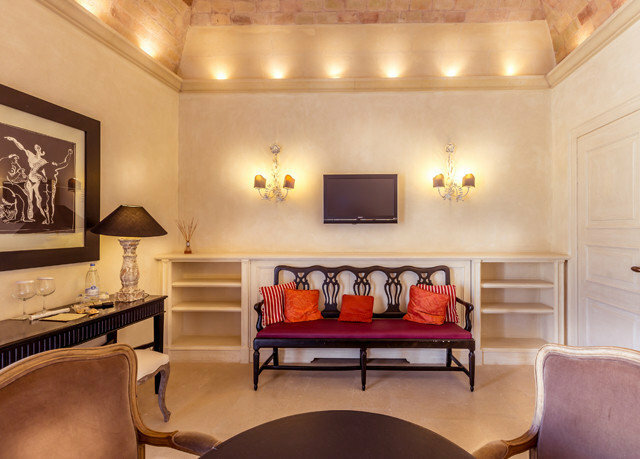 We stayed in the Palazzo for three nights at the beginning of March and it was a wonderful experience! The hotel is in the PDuomo pretty much at the top of the sassi district - which means you can get an amazing view juts by walking into the square outside! 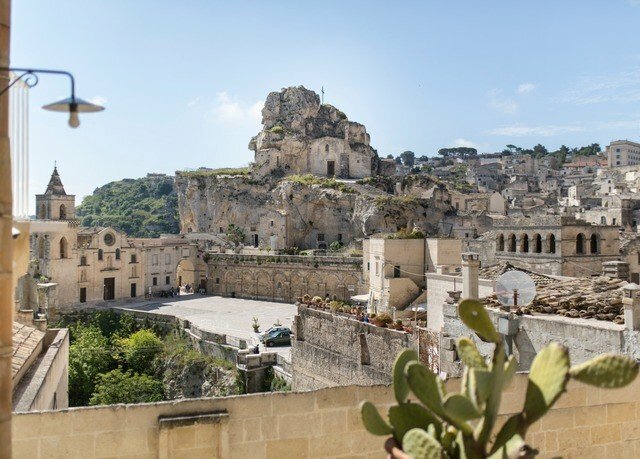 The hotel is also opposite Matera Cathedral. 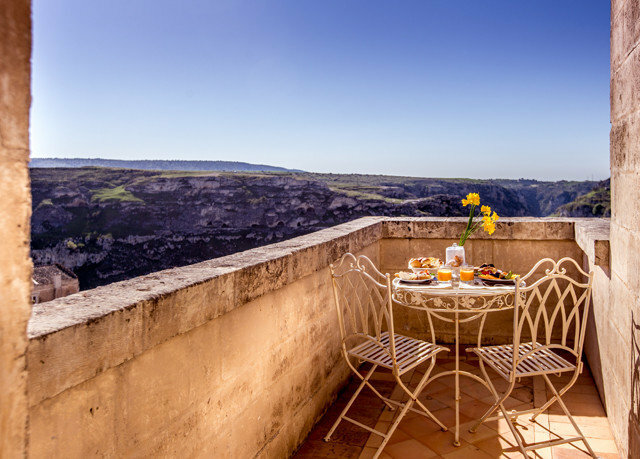 The hotel is clean, the service was great, and the roof terrace gives a great view across the old sassi district and across the ravine. The room was cavernous with a very high ceiling – and all the standard amenities. We really enjoyed the breakfast (standard continental fare) with the toast with ricotta and honey being a highlight. The restaurant was also supposed to be very good – although we didn’t get the chance to try it. 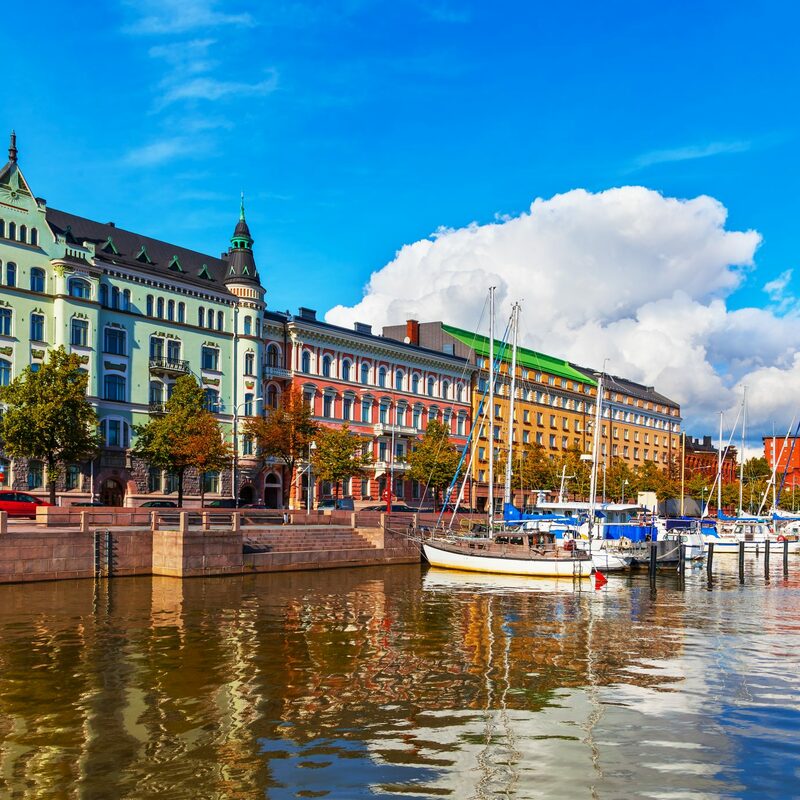 Location wise – it’s a 5-10 minute walk to the squares and the newer part of town but the key point of the hotel is the view form the terrace and square outside. Also, a spa treatment was included in the price which enabled a private session in a the sauna and hydro pool – private as it had to be booked in advance. This was very relaxing the hydro pool in the cave below the hotel was a pleasant experience. Overall, it was a wonderful stay in a great hotel and we would definitely go back. Palazzo Gattini was on my wish list since some years as I had seen it in AD and was curious about it. 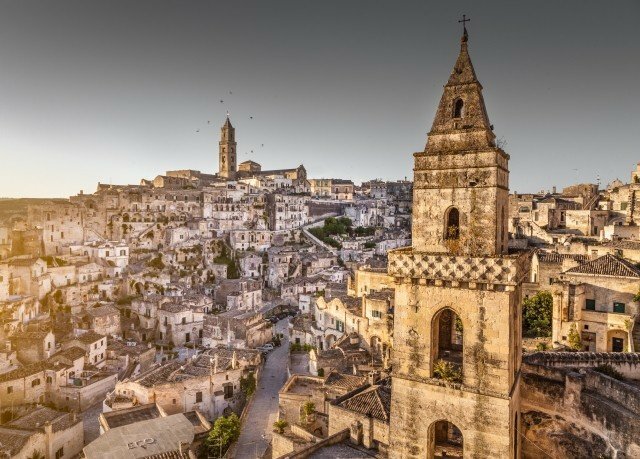 Matera was elected European Capital of Culture in so we decided to go. Well, the place is absolutely fantastic. The interior design is beautiful. I really could not find anything I did not like. The staff were all friendly and kind in a genuine way, with special mention for Clara at breakfast. The room (we were upgraded to a suite) was large and elegant. breakfast buffet was not huge but it offered super quality products, which we like. 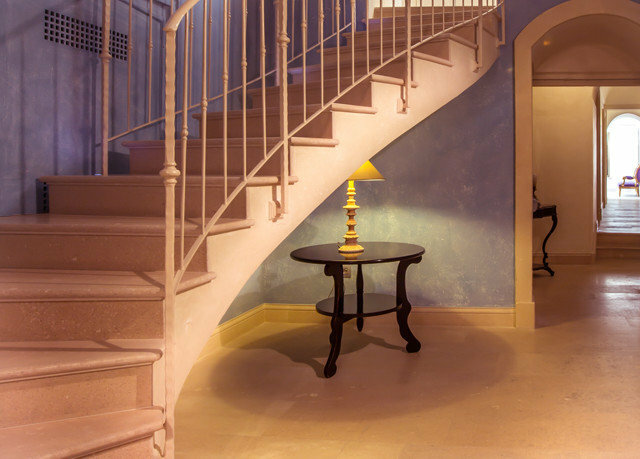 In the last years,many hotels in Italy claimed a 5 stars classification. Sometimes this is not really correct but at Palazzo Gattini the five stars are well deserved. 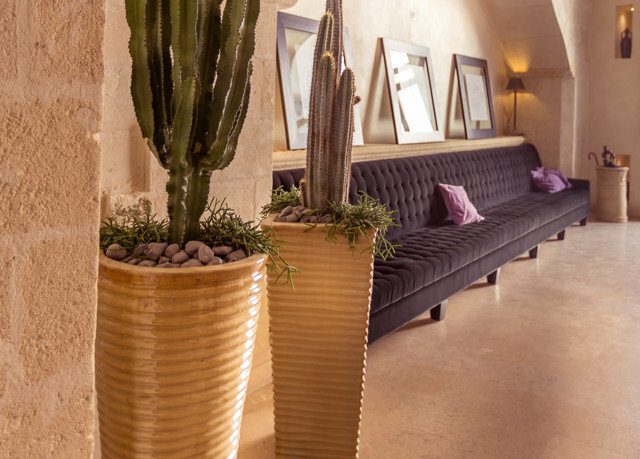 While it does not have the same “cave” charm as the grotto hotels, Gattini has its own charm via the luxe and beautiful accommodations, the views of the sassi, and the helpful staff. Our room was lovely, with a good size bathroom and comfy seating areas. We only stayed at the hotel for one night, but the staff was quite helpful in transferring us from our other local hotel, arranging our dinner reservation, and making sure our needs were met. The only minor issue we had was with the AC, which really did not cool the room, but again it was only one night so it was manageable. It was also an easy walk into the main part of town from the hotel and to other parts of the sassi. We stayed here for two nights this past week. I would highly recommend this hotel. The rooms were unique, large, and luxurious. The location is great (right by the Duomo), and the service was the best we received in Italy. Breakfast is very high quality. Our sever (Bena?) was incredibly sweet and kind. Reception staff always greeted us with very warm smiles, which was much appreciated. Lovely hotel in an amazing place.